I first read this recipe on The Pioneer Woman’s spin-off website Tasty Kitchen, of which I am a member. Don’t look for my recipes though because I haven’t had time to put any on there. I know, shame on me. There are just too many things that I want to do and not enough time to do them. Forgive me! Murphy’s is a joint in Pioneer Woman’s hometown and the Hot Hamburger was their specialty. 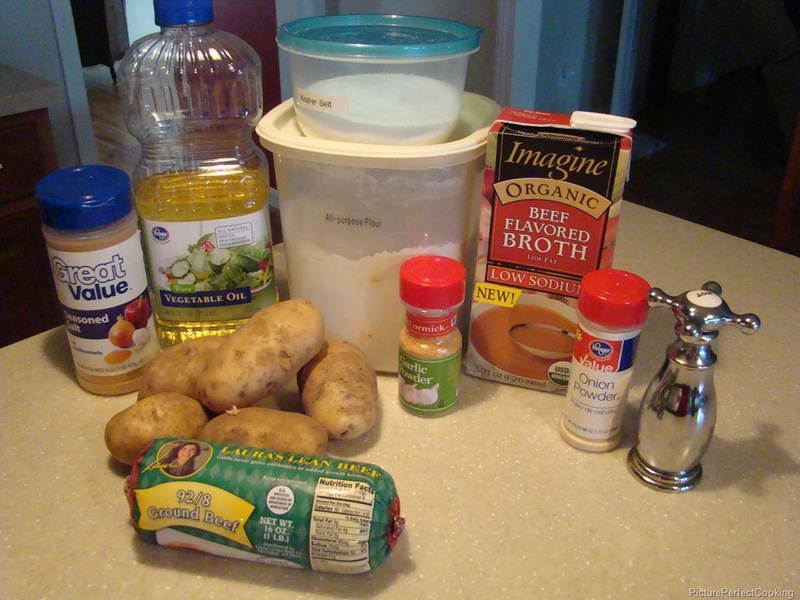 I had read this recipe many times and always thought, “Hey, I need to make that.” I finally did and it was a big hit! This is definitely comfort food and not diet food, but it is really really good! 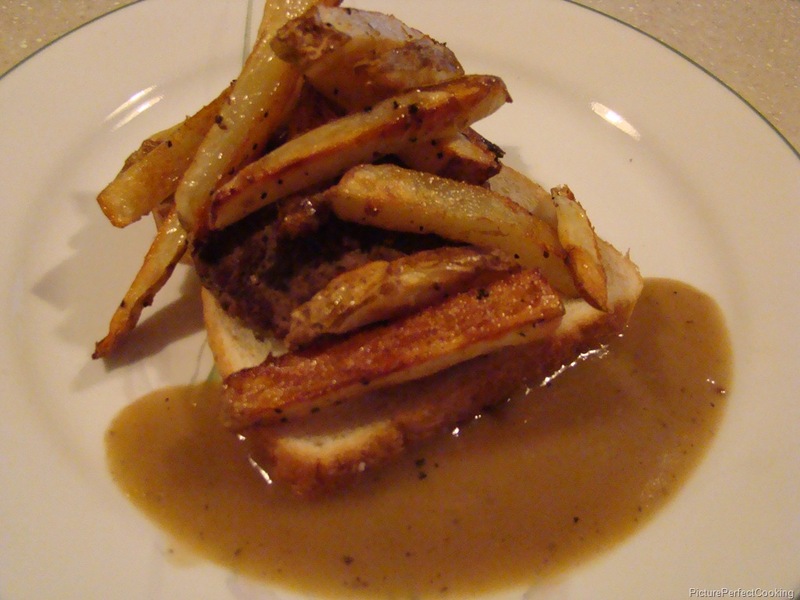 I served this just like the recipe with a piece of white bread on the bottom with the burger and fries on top of that and the gravy covering everything. Yum-o!!! 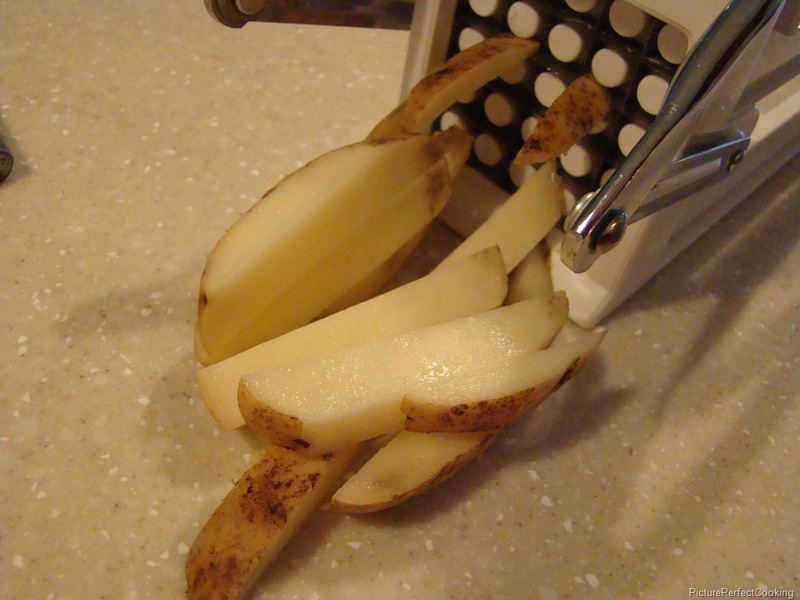 I used my handy-dandy fry cutter and I noticed on Tasty Kitchen that The Pioneer Woman has one just like it. Great minds think alike!! Ha, ha! 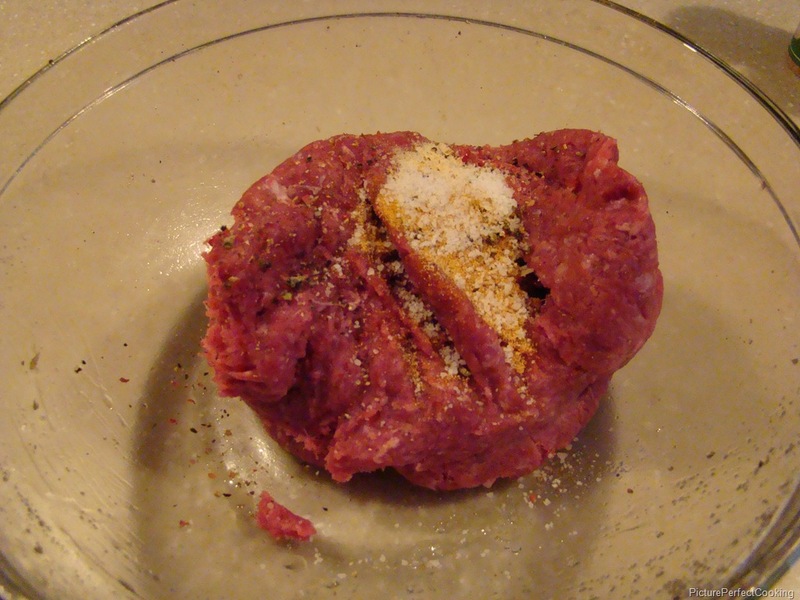 In a mixing bowl, mix hamburger, garlic, seasoned salt, onion powder and salt and pepper. Mix well with hands. Form 4 large patties. I like to make really rustic, greasy diner-style patties with no uniform shape. 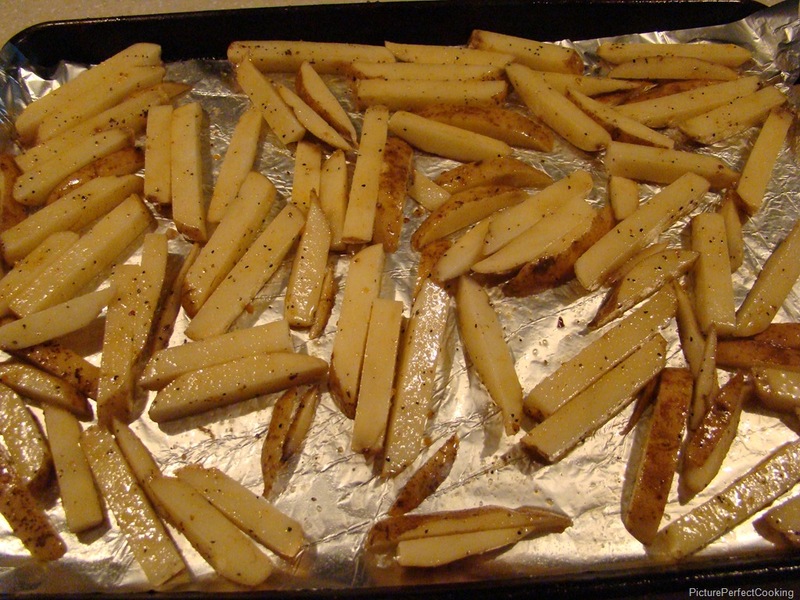 Place in a large preheated skillet over medium heat, preferably one with deep sides. Brown burgers on each side until done. 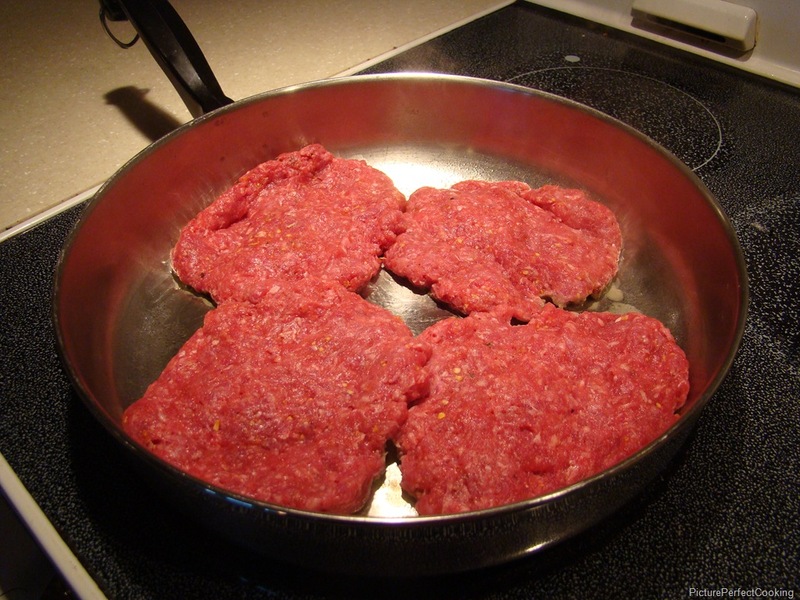 Remove burgers from the skillet and place on a plate covered in paper towels. Do not drain the grease. Add the flour a tablespoon at a time, stirring with a whisk. You have enough when the grease is all absorbed and the flour mixture gets thick and bubbly. Slowly add the broth a little at a time, whisking constantly. 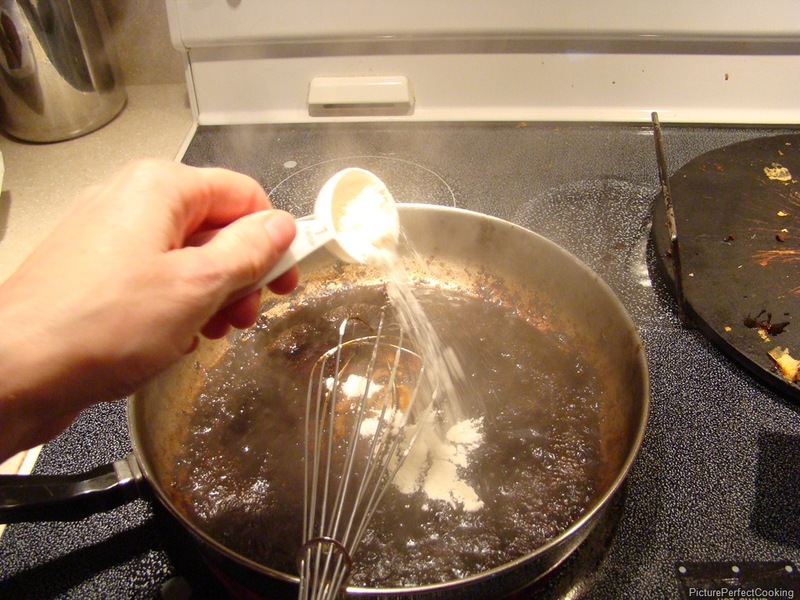 Bring to a simmer and allow to thicken. (Note: These are the original instructions. I used very lean beef and had next to no grease so I poured in just a tiny bit of vegetable oil to help with that, probably no more than a teaspoon. 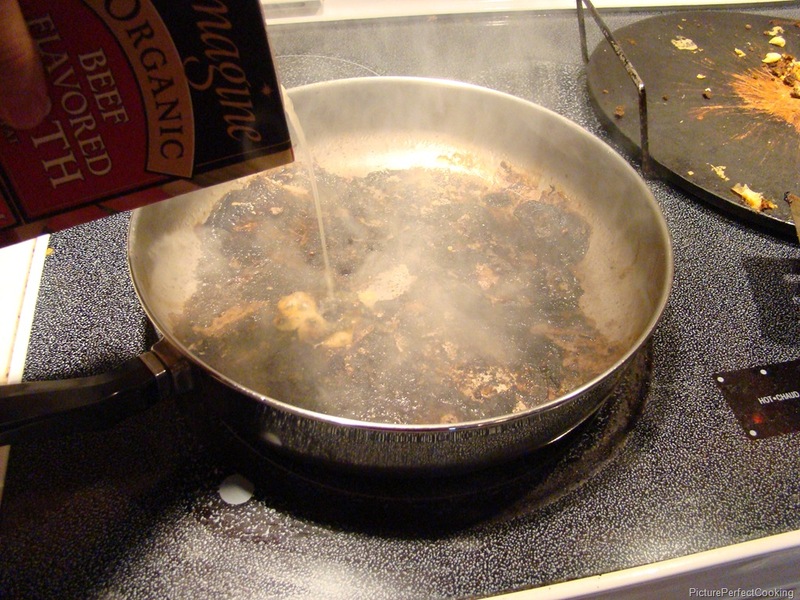 I also had to scrape up a little of the black stuff left in the pan. There was a little too much of that and not enough grease.) Season the gravy with a little salt and pepper. To serve, place an ample amount of fries on the plate. 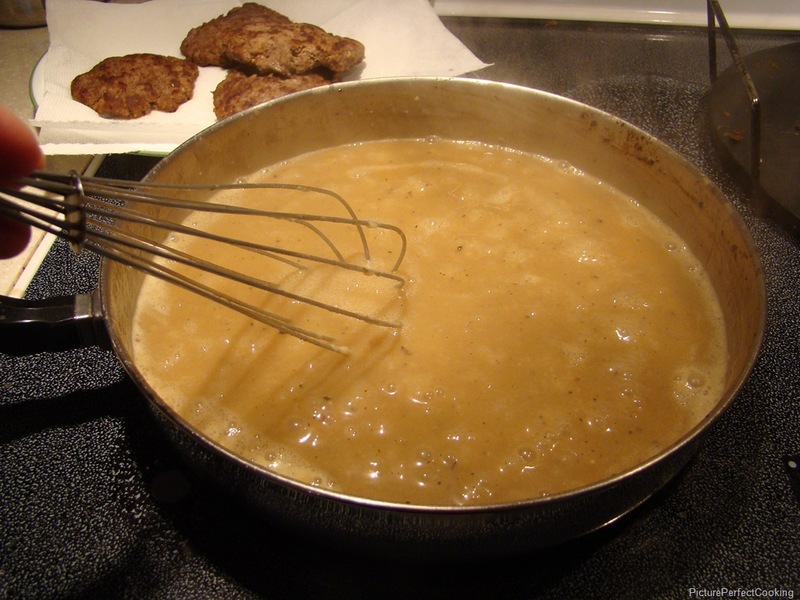 Place a hamburger on top of the fries and cover it all amply in gravy.